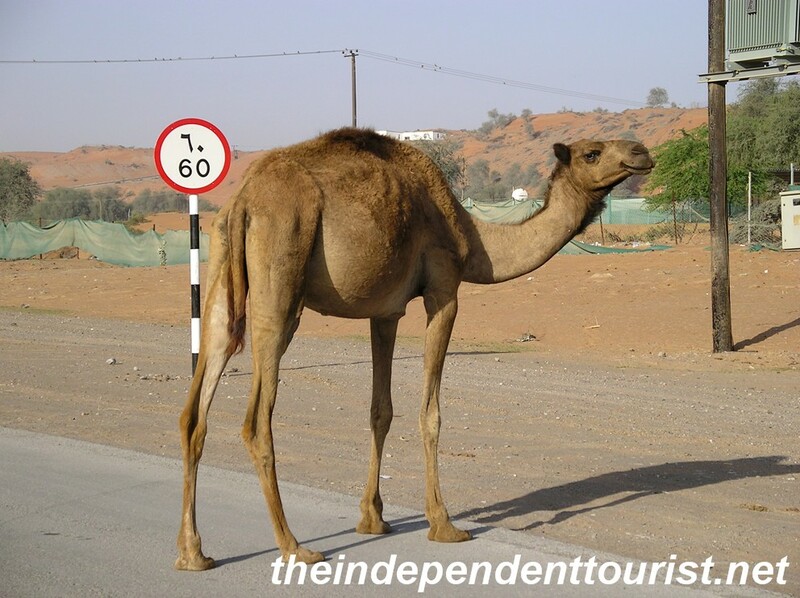 A camel on the road, he’s not too worried about the speed limit. 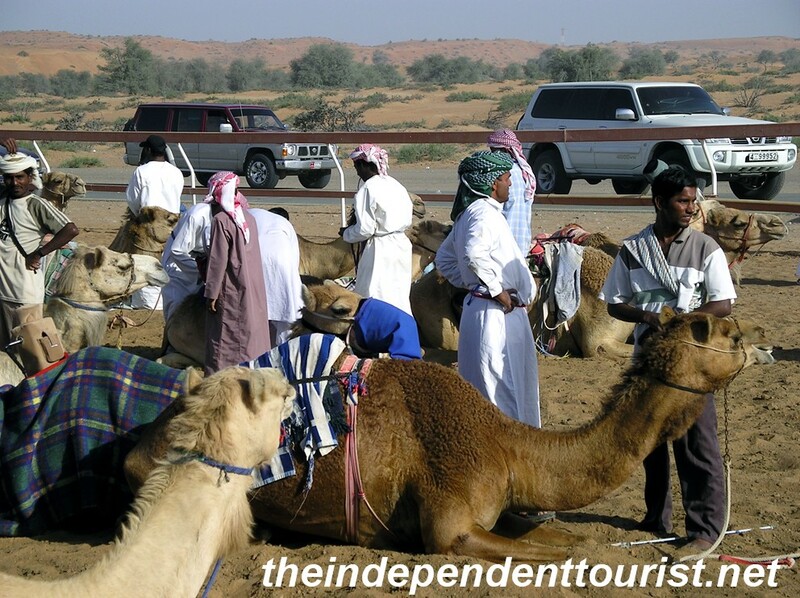 When visiting the United Arab Emirates (or UAE), do as the locals do and go to a camel race. I did this when a work colleague and I were visiting friends in the Emirate of Ras al-Khaimah (RAK for short and one of the seven Emirates that make up the UAE). The races happen early in the morning on the weekend, when the desert is cooler. 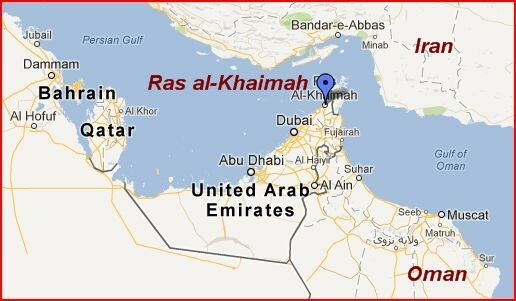 Ras al-Khaimah is at the northeastern end of the UAE. If you’ve been to a horse race, this is a little different (to say the least) and seemingly less organized, with no bleachers, except for sand dunes. Other than the pride of watching one’s camel win, I’m not sure what the motivation for the camel owners is, since there’s no alcohol or betting allowed (at least officially). The camels race by age group. Camels in the paddock awaiting their race. The starting line. The net rises and the camels are off! 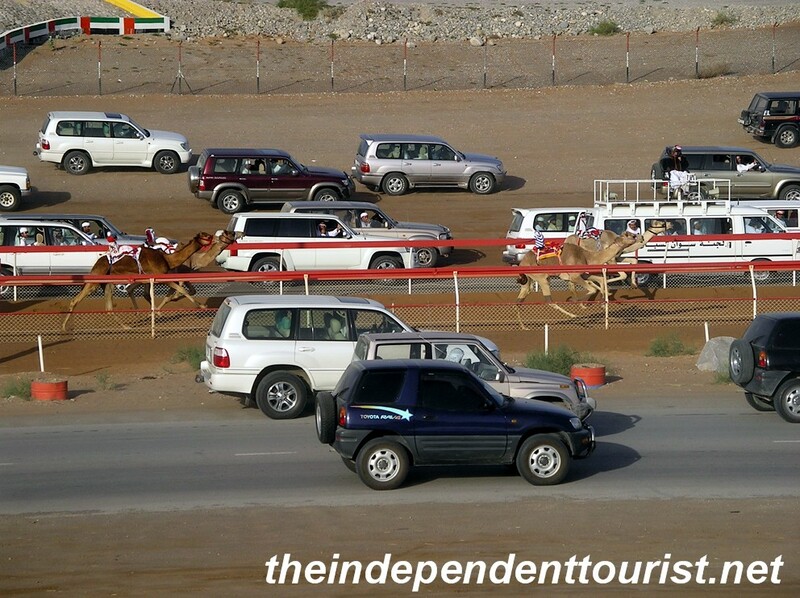 Once the camels start the race, everyone jumps in their SUV’s to follow—you’d better have a good driver because the cars are jostling around each other in the dust on either side of the track, and the people are whooping and hollering and hitting their horns to encourage their favorite camel. If you didn’t know better, you’d think the real race was the SUV’s. Since we didn’t have a camel in the race, we didn’t follow each heat the whole way (9 miles). The camel track is in the middle between the rows of SUV’s following. 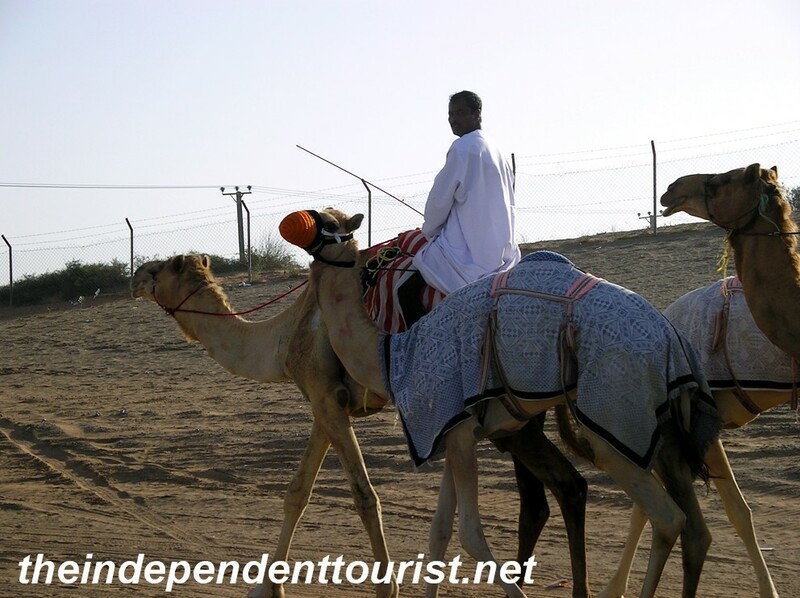 You can see the mechanical jockey on the backs of the camels in the middle of the picture. Originally the camel jockeys were children from poor countries and in 2002 they were replaced by a remote controlled unit, with a light switch swatting the camel periodically to keep it motivated. 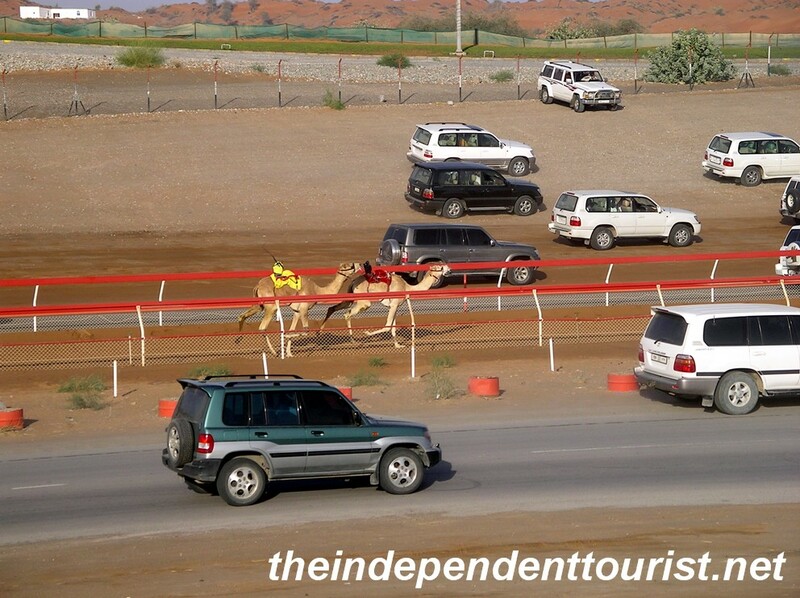 Camels are fairly fast but sometimes stop and go different directions – watching them and the Emiratis is hilarious. Leading the camels back to the stables after the race. I think more than anything this is a social event. As we were watching the camels in paddock, an Emirati gentleman whom we did not know invited us to share in his meal being offered right off the back end of his SUV. What gracious hospitality. Wouldn’t it be great if we could spend less time fearing and fighting our Arab brethren and more time breaking bread and getting to know one another. 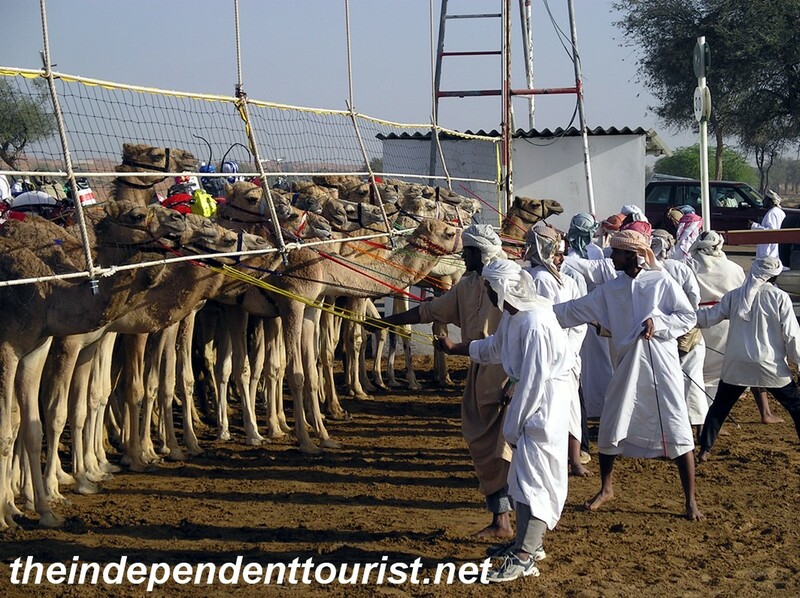 Posted in United Arab Emirates and tagged Camel Races, Things to do in Dubai, UAE Travel on May 26, 2013 by Paul Terry.